A lot of people, particularly in the US and Canada, are looking forward to celebrating Thanksgiving Day every fourth Thursday of November. With its continuous observation, it is important that people should learn the essence of celebrating Thanksgiving Day as early as childhood. In order to effectively do so, a plan, such as a Thanksgiving Day lesson plan, must be incorporated in every basic education. In this article, we provide you with lesson plans that contain activities and resources for this particular day that will make people value and understand more about this day of gratitude. By using this lesson plan, you will be able to conduct lessons that will enable people to develop and understand more about Thanksgiving Day, particularly on how it came to be. Generally, you will be able to develop an understanding of the theme of Thanksgiving. By using this lesson plan as part of your teaching materials, you will have something meaningful and tangible to use for your classes. If this is still your first time teaching about Thanksgiving, you might want to keep your activities and lessons simple for your class to easily grasp and understand the topic beforehand. With that, here is a basic thanksgiving lesson plan that can help you get started. This lesson plan also encourages your class to learn how to express gratitude for every single opportunity where they can learn together and rediscover the things or the blessings that they should be thankful for. 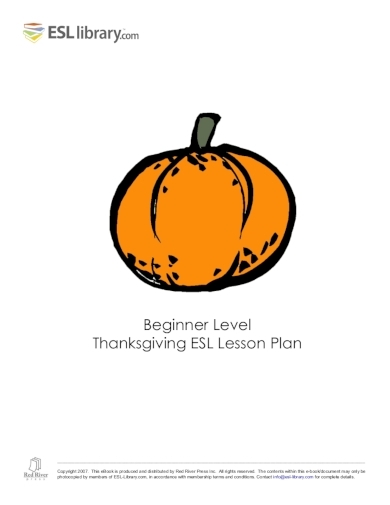 For ESL or English as a Second Language, teachers out there, here is a beginner lesson plan that can help you out should you incorporate Thanksgiving Day as part of your lessons. This lesson plan contains a very brief history of how Thanksgiving Day came to be. This lesson plan also includes a sample examination paper that allows you to test how much your class or student have learned from your lesson. If you want to give your class a thorough understanding of Thanksgiving Day, consider the use of this Thanksgiving lesson plan. 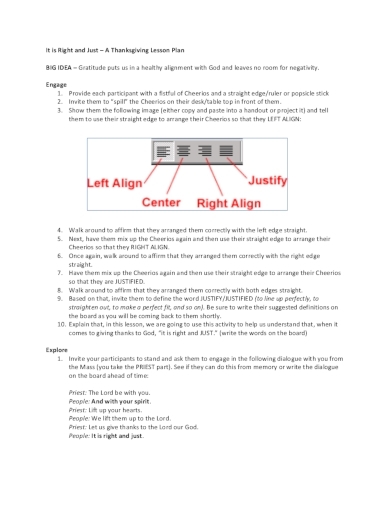 Through this lesson plan, you will be able to instill the value of gratitude among your students, particularly in creating a healthy alignment with their beliefs and leave no room for negativity. Aside from that, this lesson plan also highlights the best way of expressing one’s gratitude and that is being of service to other people. Handling a class with young minds means you have to start simple so they can take in information slowly but surely. This lesson plan involves three days of execution. Driven by goals such as making students experience myths and facts about “The First Thanksgiving”; making students sort out the facts, myths, and educated guess about Thanksgiving Day; and making them contemplate of the present Thanksgiving Day practices and traditions. Not all people are aware of the fact that Thanksgiving started out as a religious celebration. 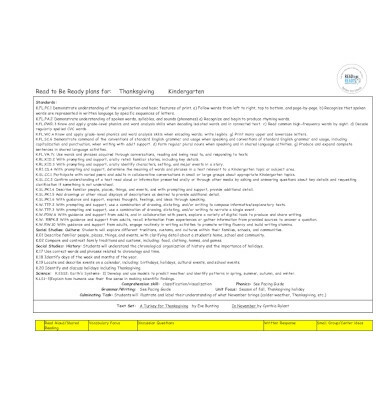 Through this lesson plan, you will be able to teach your students to fully understand that Thanksgiving Day is set as a religious celebration, that it was a pivotal event, and how such a religious event became a secular holiday that people up until this time and age kept celebrating. 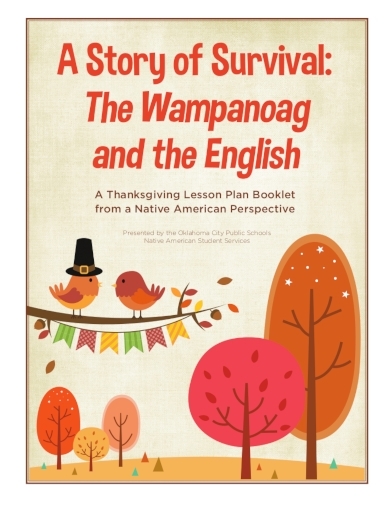 Provide fun learning experience to your class with the use of this Thanksgiving Day lesson plan. This lesson plan also contains activities relevant to Thanksgiving as a holiday. You can give these activities to your students so you can test and check how much they have learned from your discussions. 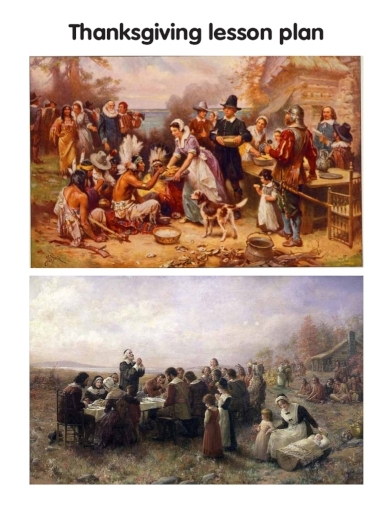 Similar with other lesson plans available and provided in this article, this lesson plan also begins with a discussion on the history of how Thanksgiving Day came to be. By also incorporating this in your discussion, it enables your students or pupils to have the most basic knowledge about Thanksgiving Day. Make it possible for young minds to further understand about Thanksgiving Day with the help of this lesson plan. Even in your class with a span of at least 40 minutes to an hour, this lesson plan enables you to effectively introduce Thanksgiving Day to your class that is composed of kids. By just teaching the main things that happen on Thanksgiving such as family gatherings, the Thanksgiving turkey, and, of course, expression of gratitude. After all, Thanksgiving Day generally boils down to the value of constantly practicing gratitude. One of the most important things that people should learn about Thanksgiving is about its traditions, particularly the tradition of having a get-together with families and friends for a meal that generally involves the traditional Thanksgiving turkey. Effectively relay these traditions using this Thanksgiving Day lesson plan. Similar to the previous lesson plan, you will also be able to execute this lesson plan even with a span of an hour. It also contains activities that you can give to your students to see and check if they have indeed learned something from your discussion.